A wide range of services offered at an international level for increased performance.  Humania BPO is a trusted provider of outsourced customer services, internationally covering all customer management activities. Our mission is to advise you and help you optimize these activities, so that you can better focus on what you do best. Customer service and after-sales service. Surveys and transactional monitoring (customer loyalty). Additional sale and B2B lead generation. We know that responding to customers quickly is quite a challenge for businesses in their customer experience. To address this problem, we offer our clients a multilingual service available across all time zones, 24 hours a day, on three continents, to make them available to their customers at all times. We manage the entirety of customer service channels, including by telephone, website, SMS, chat, email, and social media. With our multilingual call centers (English, French, Spanish, German, etc.) across all time zones and on three continents (Europe, North America and Africa), we offer our clients the possibility of outsourcing customer service in many languages. That's what customized service means to us. Administration, human resources and international recruitment. HOW DO WE MIGRATE TO DIGITAL CUSTOMER SERVICE? A shift toward human-centers digital customer service. To best serve our clients, we manage the entirety of customer service channels such as the telephone, SMS, bots, emails, social media, and others. We provide our clients with all the technology necessary to provide a digital customer experience. To assess our clients' current situations and provide them with the best possible business process outsourcing services, we begin with an audit of their systems. Once this is done, we present our recommendations to help our clients migrate to digital systems. We want to go above and beyond by helping you to sustainably integrate digital tools at the heart of your customer service. Opportunities to improve business processes, support services and BPO. A strategy for implementing digital technology in your customer service. With our expertise in centralized international recruitment, we work with highly competent international consultants who know where digital technology is headed. Our strategies are always developed with the highest customer service management quality standards, leveraging the latest technological advancements. Multilingual systems, local and international call center management, migration of call centers from traditional to digital, and more.